Heathcliff, rescued from the streets at a young age by a kindly farming gentleman, turns bitter and vengeful when the love of his life, Catherine, decides to marry for status and not follow her heart. After Catherine’s death from a laborsome birth, her memory haunts Heathcliff just as he haunted her life after marriage. Heathcliff sets about getting his revenge on Catherine’s older brother, who stripped Heathcliff of the dignity their father gave him as an adolescent. His passions build a dark cloud over Catherine’s family as her daughter is forced to pay for Catherine’s folly – choosing a gentleman to marry over Heathcliff. But Young Catherine is stronger and more cunning than her mother ever was, finding a way to destroy the ghosts that haunt her life. This famous classic, studied, loved and hated the world over encapsulates more than just class-relations and romantic notions. The passion and power Bronte brings to her protagonists draws readers into a story of humanity, showing just how deadly the seven sins can be. Yet, the enormity of the span of time that weaves Catherine and Heathcliff’s story together brings with it an epic revenge drama that need not physically travel far and wide. The emotions and state of mind of the protagonists is a battle ground worthy of any modern tale. 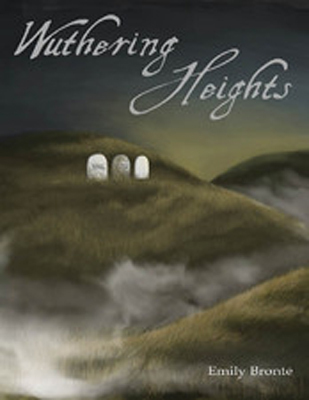 While Bronte’s language might take a bit of getting used to, it is close enough to modern English that with the right frame of mind and an open heart, the story of Wuthering Heights will transcend any book written for teens and new adults today. The themes of bullying, new love, heartache, death of a loved one, social acceptance, revenge, alcohol abuse, and pride speak true of any generation – making this a masterpiece for the ages. I still need to read Wuthering Heights – I have it on my classics list and I’m excited to read it actually. Only problem is I haven’t gotten to it.